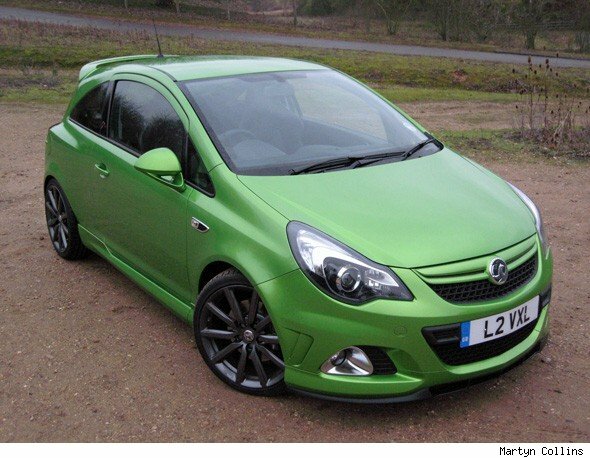 Latest in a selection of faster versions of Vauxhall's baby hot hatch, this Corsa VXR is the Nurburgring edition. As the name suggests, this time the car has been developed at the infamous German race circuit, the Nurburgring. Can these tweaks add the driver involvement that's so far been missing in the VXR and make the Corsa a serious rival to the MINI John Cooper Works and the Renault Clio RS? We spent a week with this £22,295 Grasshopper green hatch to find out, just before Captain Slow and the Top Gear team got their hands on the same car. 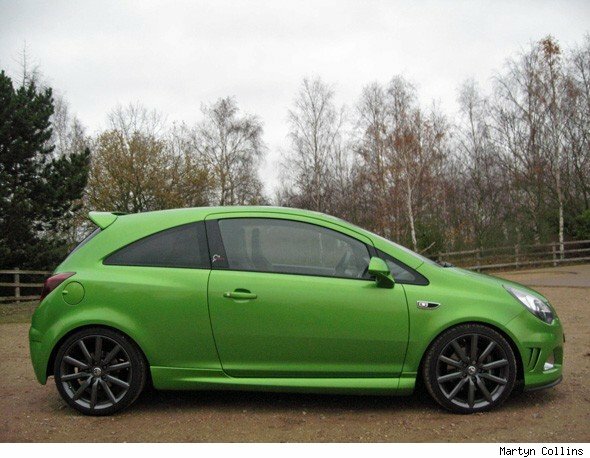 The Corsa VXR was launched in 2007 and still looks quite sharp, although I do wonder whether the VXR body kit makes this Corsa look a bit cheap and boy racer-like? 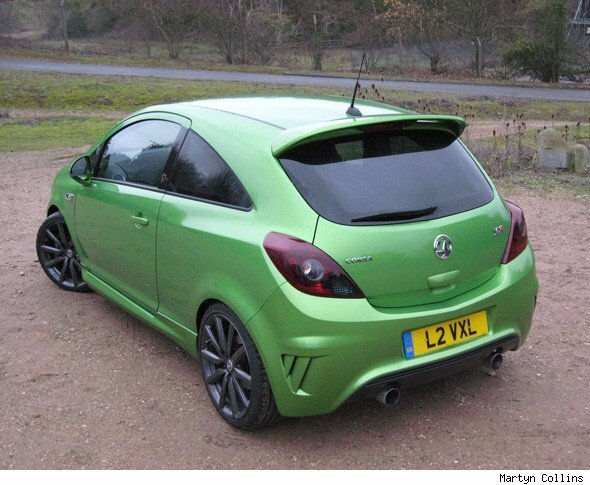 There are no metalwork changes in the transformation from standard VXR to Nurburgring specification. Instead, you'll be able to spot this special version by its unique badging, the lowered stance, lightweight spoked alloy wheels in graphite finish and twin stainless steel exhaust pipes. There's also the choice of two unique colours: Henna Red or the test car's eye-catching green. The changes are mostly under the skin of the baby Vauxhall. The regular Corsa VXR's 189bhp 1.6-litre turbo engine has been breathed on by Opel/Vauxhall's performance division OPC and after a revised turbo, ECU tweak and a new exhaust the result is an extra 13bhp. This takes the total to 202bhp, with torque similarly uprated to 207lb ft on overboost. Emissions of 178g/km and a 37.2mpg Combined fuel consumption figure mean the Corsa VXR Nurburgring isn't the cleanest or greenest hot hatch on sale. However, that's not really going to bother the people who are going to buy this car as they are going to be more interested in the 0-60mph acceleration figure of 6.5 seconds and the 143mph top speed. All-round visibility might be poor because of the thick roof pillars, but the Corsa was still easy to park and we didn't miss rear parking sensors. Sadly, despite the work on the performance and handling, the Vauxhall's power assisted steering is still too light and almost devoid of feel – lacking the involvement of the Clio and MINI. The steering is a big disappointment, as the Nurburgring is by far the best development of the Corsa VXR. The Vauxhall handles well, with unique lowered Bilstein springs and dampers meaning virtually no body roll, there's also plenty of grip and the limited slip differential improves traction cutting understeer. This meant we could make the most of the performance under heavy acceleration, although I wish the Brembo-supplied brakes had more feel. For me, the Clio RS is a more complete hot hatch. We didn't get near a track during my week with this Vauxhall and probably didn't see it at its best. On the road, the sports suspension means the ride is hard and easily unsettled, plus there's some tyre roar on the motorway. Inside, the Vauxhall feels robust rather than well-made. Like the exterior styling, some of the interior trim is a bit much. We loved the high backed Recaro seats, but the chunky VXR gearknob, the piano black trimmed flat bottom steering wheel and Nurburgring badging looked cheap.Thankfully, all the switchgear is logically placed. The Corsa's driving position is comfortable, but the excellent standard Recaro seats don't fold forward far enough forward compromising access to the back seat. The 285-litre boot is a practical size and has a useful false floor to hide valuables. In Nurburgring trim, this Corsa is well-equipped with air-conditioning, remote central locking, electric front windows and power mirrors as standard. Our test car was fitted with £750 of optional Touch and Connect, touchscreen navigation system. This also includes Bluetooth and USB connectivity for iPods. Sadly, the maps look a bit simplistic, but the system seems well integrated into the Corsa's interior and the Bluetooth connectivity for my phone was excellent. So to sum up, the Nurburgring version of the VXR is the most complete fast Corsa yet. There are question marks over the image, brakes and steering. However, exclusivity is assured for fast Vauxhall fans with just 250 coming here per year.